Back again for 2014, Night Owl Recording was on location for the 33rd Tejano Conjunto Festival, featuring the reunited Texas Tornadoes...[READ MORE]. 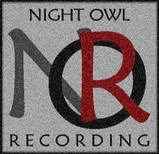 Night Owl Recording was there for the annual Tejano Conjunto Festival in San Antonio. The largest of its kind in the world, this year offered no shortage of fun and music. The Hall of Fame Ceremony was recorded in the classic Guadalupe Theater, with the festival itself again at Rosedale Park. Thanks again to Johnny Hernandez of High Voltage Sound, Juan Tejeda, and Cristina Balli. The four-day event totaled more than 35 hours of multitrack audio recording at 24- bit, 48k. Night Owl used the Presonus AI console, combining True Systems preamps on the drum overheads, hi hat, and audience mics. Straight from the console to Pro Tools 12 with MacBook Pro and JoeCo Blackbox recorders as backup.